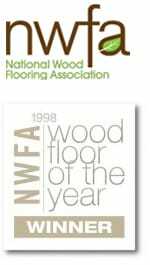 2013 NWFA Wood Floor of the Year – Best Reclaimed – Just as the GRAMMYS or OSCARS honor the best work in their respective industries each year – so does the National Wood Flooring Association (NWFA) with their prestigious Wood Floor of the Year awards. 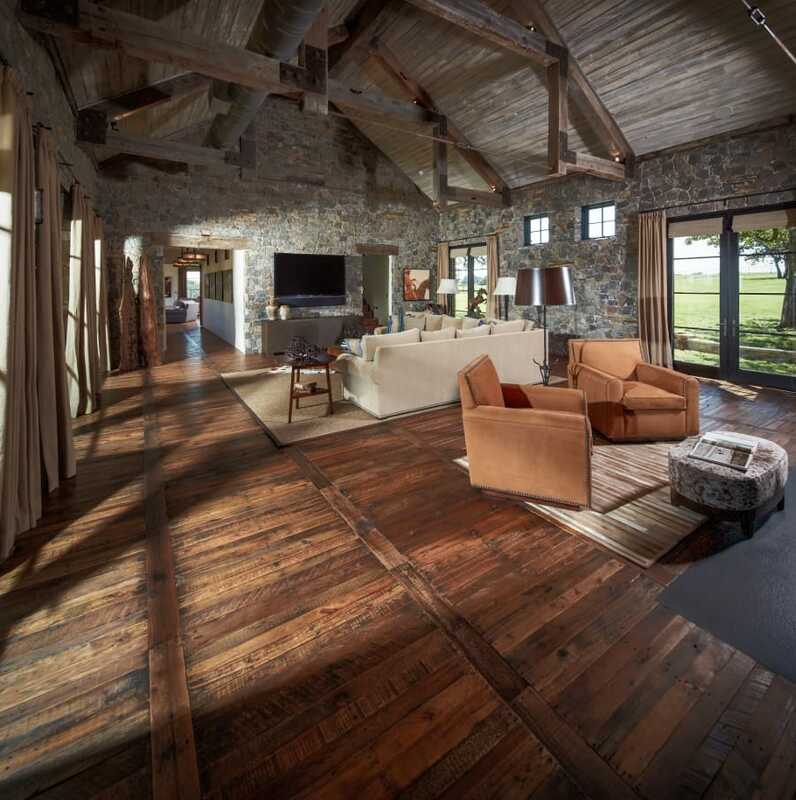 Schenck & Company was proud to receive the NWFA 2013 Floor of the Year – Best Reclaimed for this floor created entirely out of weathered wooden shipping pallets. Laid in a pattern inspired by a Spanish design, the wood is abraded to let the natural color come through then finished to withstand lots of wear and tear from pets, guests and everyday use. 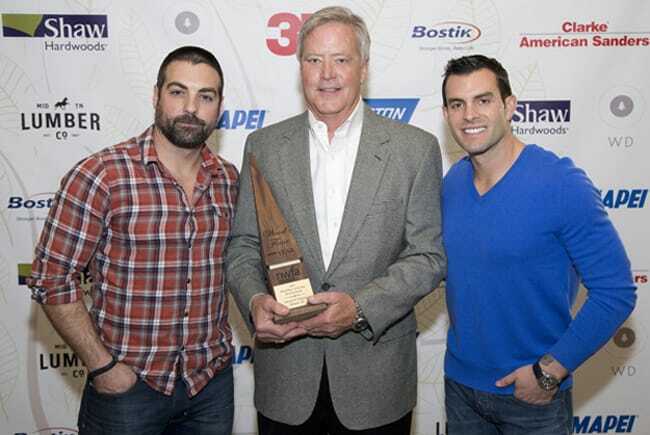 Greg Schenck personally accepted the award from HGTV stars Anthony Carrino and John Colaneri from the show “Cousins on Call.” This is the second time Schenck & Company has received a Floor of the Year honor, having previously been recognized in the Mixed Media category.